In early August, after weeks of preparation, the wheels of the British military establishment finally turned to Josef's court martial. 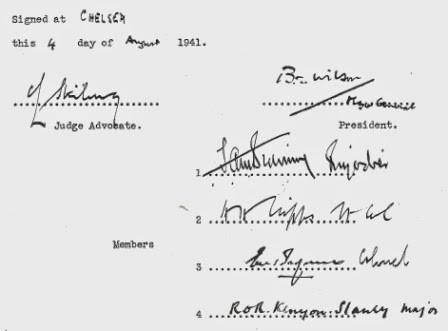 The trial took place on 4 and 5 August, 1941, at the Duke of York's Headquarters, the halls of which bustled with decorated soldiers and bewigged lawyers. 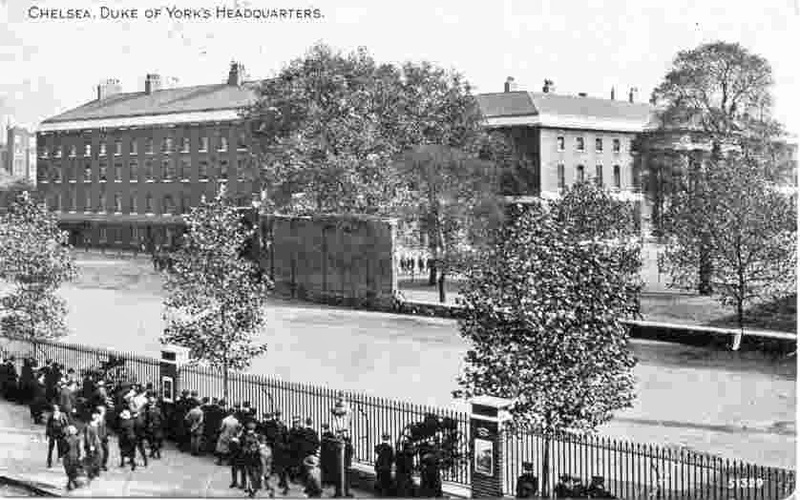 Postcard of Duke of York's Headquarters, Chelsea. Major-General B.T. Wilson, C.B., D.S.O. Finally, there was an Interpreter and a Shorthand Writer. 7653216 Quartermaster Sergeant B.A. Balment, R.A.O.C. Perhaps it's just me, but this long list of names is rather meaningless. Ranks, Surnames, Decorations, Commands - but little else. I want to know something of these men who decided the fate of Josef Jakobs. I want to meet these men in at least some fashion. With a bit of tenacity, most have background stories that can be teased out of the dusty backrooms of history.